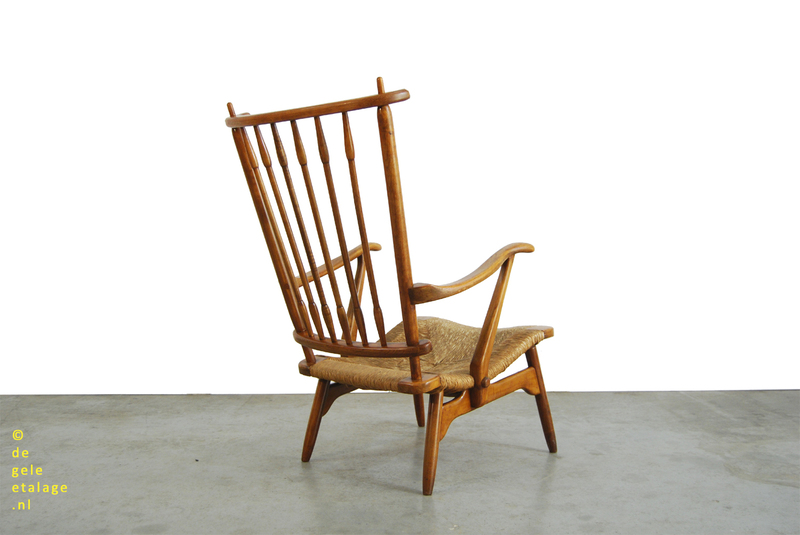 Klassieke jaren 60 fauteuil van massief hout met matten/rietgedekte zitting en organische vormgeving. 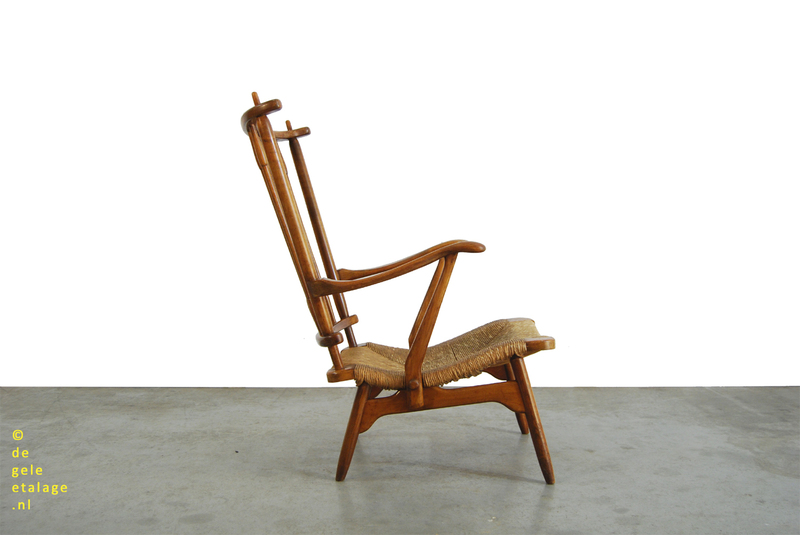 De fauteuil is geproduceerd door meubelfabriek De Ster te Geldermalsen Nederland (1928-1974). Classic wooden 60s armchair with mats / reed seat and organic design. 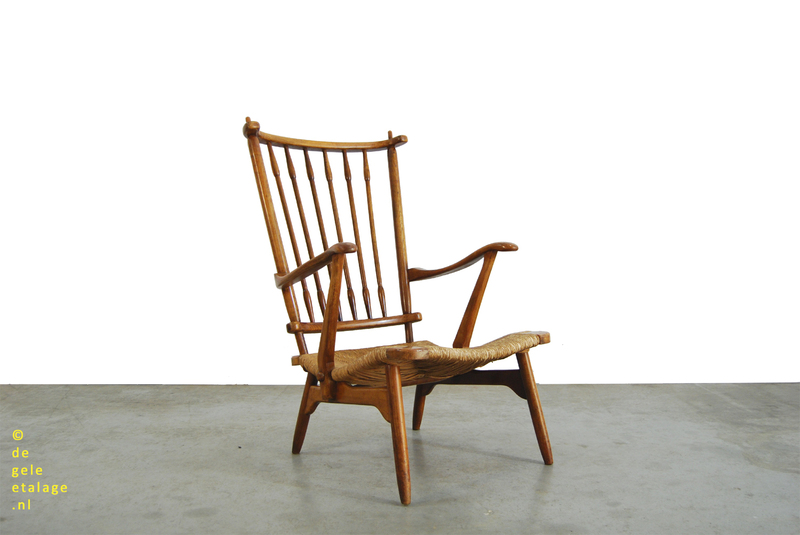 The armchair was produced by furniture factory De Ster in Geldermalsen Netherlands (1928-1974). Dutch design. Condition: good vintage condition. The woodwork is neat and fresh. 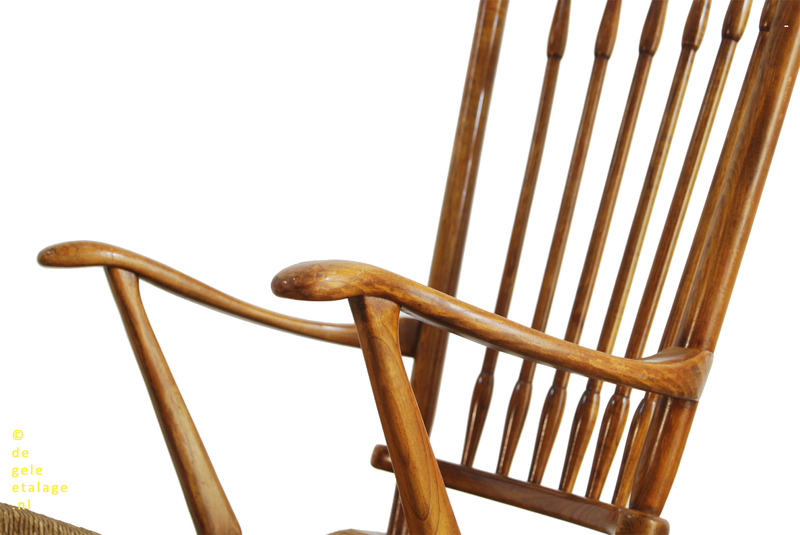 The cane-covered seat is undamaged and sturdy (see photos). Very slight tolerance in the construction, not disturbing to the use.